The village wasn’t what Cameron Marsh would consider middle class. The homes had dirt floors and the families cooked on small kerosene stoves. Most families didn’t have electricity, and those who did experienced power outages several times a week. What was described to him as a middle-class village in Tanzania was a picture of poverty to the Rathdrum teen. Most eye-opening was a visit to the hospital: Not only were the facilities inadequate by any standard, but basic sanitation and cleanliness also were lacking. The summer 2015 trip to Tanzania, two weeks spent teaching English to native students, inspired the Lakeland High senior to abandon plans of becoming a neurosurgeon to study global health. He hopes to work as a physician serving underprivileged communities. When Marsh told his parents he wanted to go to Tanzania, they told him he could if he raised the money. “Darned if he didn’t come up with the money,” said his mother, Jenny Marsh. He saved his earnings from a job at Papa Murphy’s Pizza for more than a year to fund the trip. “Other kids were buying cars and he paid for a trip to go help some kids in Tanzania,” she said. As an ambassador for the Hugh O’Brian Youth Leadership seminar the summer before his junior year, Marsh attended a leadership conference in Caldwell, Idaho. Together with students from throughout the state, he learned about the skills required for effective leadership and got his first real taste of community service. The students volunteered at a women’s shelter. Like the trip to Tanzania the following summer, it was an eye-opening experience. Kevin Marsh said his son has always been self-motivated and extremely organized. He helped bring swimming to his school as a varsity sport. 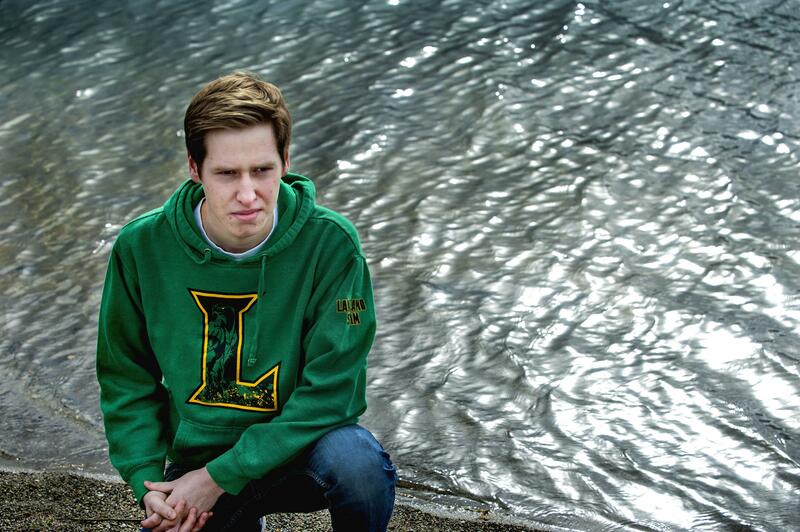 A four-year letterman, he has been captain of the swim team twice, competing at state each year. The team has grown from 10 swimmers to more than 20 under his leadership. He practices late at night at Coeur d’Alene’s Kroc Center. Since last summer, he’s also been a teen volunteer at Kootenai Health, escorting patients, running errands, transporting lab specimens and doing paperwork. Though his schedule is packed full of activities and he’s taking honors and dual-credit classes, Marsh maintains a 4.0 grade-point average. He is president of the school’s National Honor Society and a member of Business Professionals of America. This year, he is Associated Student Body president. He served as vice president his junior year and was his class treasurer during his sophomore year. That’s just a sampling of his already impressive resume, which lists achievements as far back as elementary school, when he was a recipient of Rathdrum’s Youth Achievement Award and competed at the Children’s Climate Actions conference in Copenhagen. He said his parents have always been supportive and encouraging. He also lauds the staff at Lakeland.